To combat the rapid loss of village culture and rural environment and communities amid urbanization in Asia, Policy for Sustainability Lab launched the Sustainable Lai Chi Wo Programme to revitalize the desolate, remote traditional farming landscape at Lai Chi Wo with a view to developing a sustainable rural revitalization model. Hong Kong is a vibrant city located at the south-eastern tip of China, covering a total area of 1106.34km2 with a population of approximately 7.34 million (as at 2016). It is famously known as a bustling metropolis with highly developed urban landscapes and vibrant economic activities. What has often been overlooked, though, is that over 75% of the land in the territory is actually covered by green and rural areas, including more than 700 villages therein. These rural areas and the traditional agricultural village culture are an integral part of the socio-ecological landscape of Hong Kong, defining the historical and cultural characteristics of the city. However, in the past decades, there has been a rapid decline of rural population amid rapid urbanisation and modernisation. The pre-revitalized Lai Chi Wo is a typical case in point. As an effort to combat the rapid loss of village culture and rural environment and communities in Hong Kong and beyond, Policy for Sustainability Lab (PSL) of the Faculty of Social Sciences at The University of Hong Kong (HKU), with the support from the Hongkong and Shanghai Banking Corporation Limited, the local villagers and other nonprofits, launched the multi-year “Living Water & Community Revitalization – An Agricultural-led Action, Engagement and Incubation Programme at Lai Chi Wo” (the Sustainable Lai Chi Wo Programme) in 2013. The Programme was successfully completed in September 2017, and entered into a new phase titled “HSBC Rural Sustainability”. 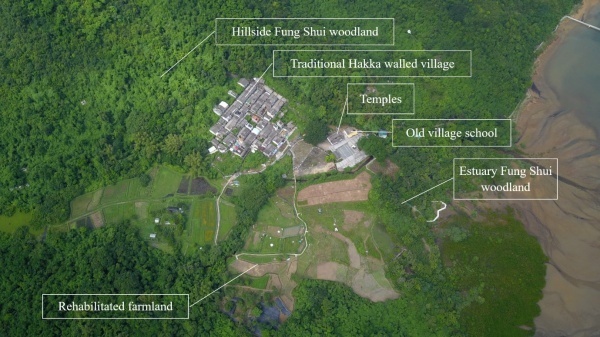 This case study focuses on the Sustainable Lai Chi Wo Programme (2013-2017) which was an action project that sought to replenish and revitalize the disappearing social and natural capital of the desolate, remote traditional farming landscape at the Lai Chi Wo Village in Hong Kong, with a view to developing a sustainable model for rural revitalization for Hong Kong, Greater China and beyond. The 300-odd-year-old Lai Chi Wo Hakka village is situated in the northeastern part of Hong Kong. The early Hakka settlers decided to build their village in Lai Chi Wo as they saw the geographical preponderance of the place – it is a natural valley with a stream passing through, surrounded by hills on three sides and a calm sea in the front; there are adequate land and water resources for farming, and the climatic condition is stable and mild. The natural woodland at the back of Lai Chi Wo was protected and well-managed by the villagers as their Feng Shui woodland. It is a distinctive landscape feature of traditional South China farming villages which protects the village from landslides and hill fires, and moderates the microclimate. Villagers also grew bamboos, fruit trees and Feng Shui Trees such as Camphor in the Feng Shui woodland. Outside the Feng Shui woodland, villagers in the past cut the hilly slopes into terraces for paddy farming. The terrace farmlands were extended to the hilltop in the heyday of the village. Along the coast, part of the mangrove forest was believed to be deliberately protected by the early villagers to keep the village safe from the waves. Temples with open space were built for rituals and social gatherings; a school was set up to provide education to younger generations. A self-sustained and environmentally friendly community was thus formed in Lai Chi Wo. With over 200 village houses, it is one of the largest remaining traditional Hakka walled villages in Hong Kong. Unfortunately, in the 1950s, villagers began to leave and move out to urban areas or European countries for a better living. Desertion of the village led to a loss in traditional culture and biodiversity due to a lack of active management. 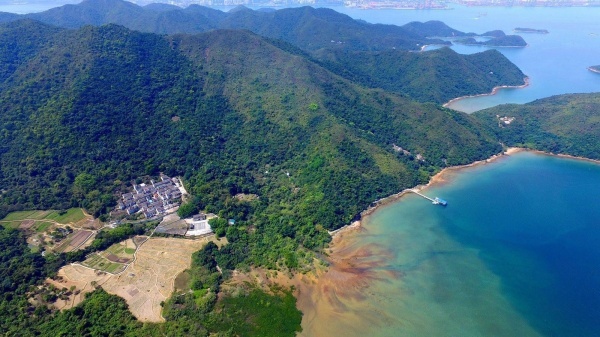 In the late 70s, a substantial part of the surrounding woodland was designated as part of the Plover Cove Country Park. While the designation has provided a statutory protection of the area with high ecological value, it further isolated the village and made it inaccessible by vehicles. With no foreseeable options for the village, the last villager moved out in the 90s. In order to find a sustainable way out for rural development in big cities, colleagues at HKU teamed up with a group of like-minded people who are concerned about the quality of development of Hong Kong to explore the feasibility of revitalizing Lai Chi Wo into a sustainable village. Lai Chi Wo was identified as it carries rich stock of capital essential for sustainable revitalization: most original inhabitants demonstrate a strong attachment to their motherland and still return to their village with their descendants to pay tributes to their ancestors, to renovate their houses, ancestral halls, and temples, and to keep their village intact. Lai Chi Wo is situated in the Global Geopark, next to the Plover Cove Country Park and Yan Chau Tong Marine Park. 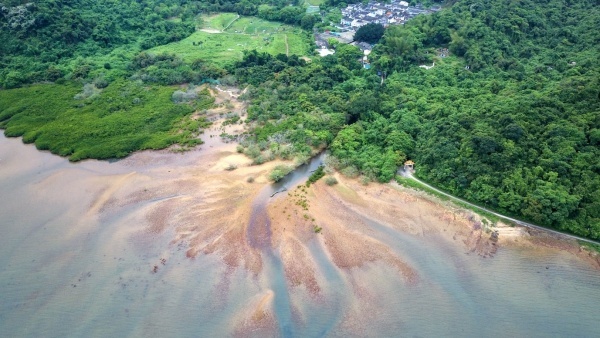 It supports diverse habitats including the Lai Chi Wo coastal area which is designated as a Site of Special Scientific Interest (SSSI), an Ecologically Important Stream, a large area of Feng Shui woodlands, extensive mangroves, farmlands and wetlands; all these showcase the abundance of natural resources and high ecological significance of the place. Furthermore, land ownership in Lai Chi Wo is relatively unified and intact, which makes it easier to consolidate land resources. To develop diverse local products and services, thereby creating job opportunities and financial returns to sustain the local economy. The Programme was carried out through active collaboration with various stakeholders, including villagers and city folk as well as people of different professions and age groups. 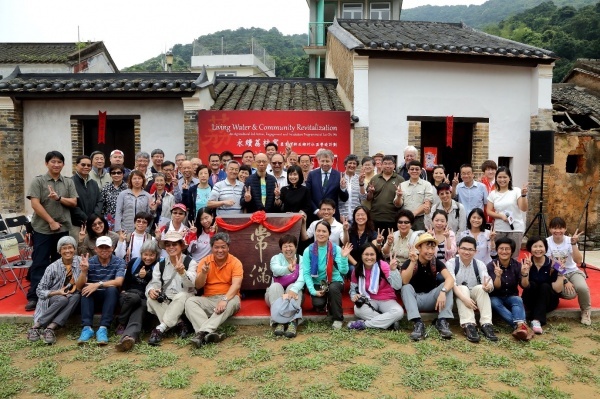 The Programme adopted a “University-Government-Community-Business” cross-sector, collaborative approach – HKU took the lead and launched the Programme in partnership with local NGOs and villagers. The business sector provided suggestions, manpower and funding for the Programme, while the government provided support in the public domain. PSL engaged three local NGOs (The Hong Kong Countryside Foundation (HKCF), Produce Green Foundation (PGF) and The Conservancy Association (CA)) as co-organisers of the Programme and together we formed a complementary and multi-disciplinary team. These three partnering organisations have drawn on their own expertise and played different roles in the Programme: HKCF was responsible for leasing farmland for resumption of agriculture and establish rapport with villagers; PGF dealt with farmland rehabilitation and farm management, and provided professional agricultural advice; and CA focused on environmental education. As the organiser and manager of the Programme, PSL engaged in internal and external discussions with different stakeholders to develop common agendas for action. This served as an important springboard to promote collaboration and establish mutual trust amongst key actors. The Programme was supported by five government bureaus/departments (Environment Bureau, Environmental Protection Department, Agriculture, Fisheries and Conservation Department, Planning Department and Home Affairs Department), one business corporation (The Hongkong and Shanghai Banking Corporation Limited (HSBC)), and a large number of local villagers. Scholars from the School of Biological Sciences, Department of Geography and Department of Civil Engineering at HKU made research contributions to the Programme. A wide range of supporting organisations, such as the Heung Yee Kuk (a statutory body coordinating/advising rural villages in Hong Kong), district councils, social and environmental NGOs, were also involved in particular activities. The Programme started with the restoration of farmlands. The abandoned farmlands were leased from villagers for agricultural rehabilitation using eco-farming methods. We have rebuilt and improved the old irrigation and drainage system, repaired an old stone wall in the farming areas, and restored the field terrace landscape feature of the farmlands. A plant survey was conducted before farming activity resumed in order to avoid possible adverse environmental impact during farm setup stage. Trees with dbh (diameter at breast height, taken at 1.3m from the ground) larger than 95mm (about 80 trees) were retained for agroforestry trials. Rare species such as Water Fern (Ceratopteris thalictroides) found were transplanted outside the farming area for ex-situ conservation. Some low impact bird control measures were taken, such as covering protective net on parcels of field to keep birds out of the crops, while selected fields were left open for bird feeding. Appropriate technology and low carbon technology, such as biochar and small-scaled solar-powered and hydro-powered farming facilities, were used. More than five hectares of farmland have been re-established for both production and community farms. More than fifty crop species were planted and tested in the fields, including rice, ginger, turmeric, papaya, white radish, etc. Paddy rice was strategically selected as the main crop for agricultural rehabilitation which could enhance the wetland habitat in Lai Chi Wo. A number of paddy rice farming related activities were organised for teachers and students at different levels, interns, volunteers and local villagers. Ginger and turmeric also yielded a good harvest; processed products such as ginger slices and turmeric powder were developed. Produce and products were promoted locally to villagers and visitors during the Spring Banquet, Lai Chi Wo Farmers’ Market and outreach markets organised by the government and retail partners. With the University taking the lead, research was considered a fundamental component in the Programme. 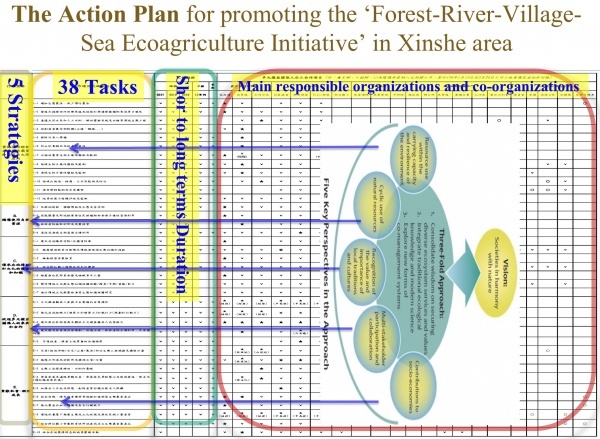 Using Lai Chi Wo and its surrounding areas as a case study site, a whole catchment management approach was developed as the research strategy, covering a hydrology monitoring programme, a biodiversity monitoring programme, a species reintroduction programme and a cultural study. Heavy rain and the subsequent flood outbreak at Lai Chi Wo in May 2014 drowned the paddy fields and damaged the electric fences. 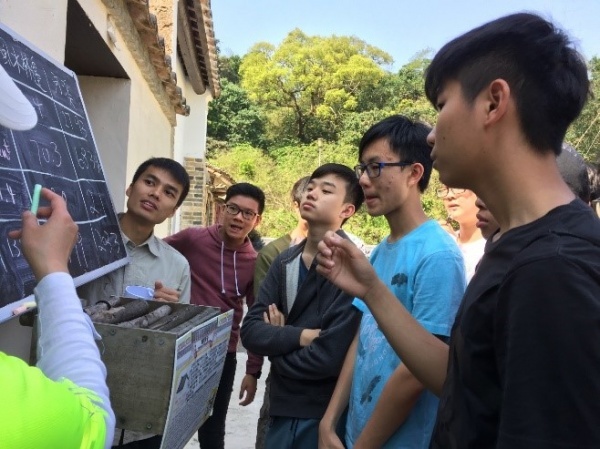 To prevent similar hazards, a HKU cross-departmental hydrology monitoring working group with scholars from Civil Engineering, Biological Sciences and Geography was formed. A study on the hydrology and the physical environment in the Lai Chi Wo drainage basin was launched. Field data on weather and stream characteristics were collected. The study was the first systematic effort in hydrological monitoring for natural catchment in Hong Kong. Historical data on the geographical and rainfall changes of the Lai Chi Wo catchment were also gathered; a hydrological model was constructed for the Lai Chi Wo drainage basin to predict future hydrological events. During the four years of the Programme, regular ecological surveys were carried out at least twice a month in Lai Chi Wo to establish an ecological baseline as well as to evaluate the effects of different types of farming activities and habitat management on the area’s biodiversity. The data collected are used for long-term biodiversity management plan formulation and environmental education. The following taxa groups were investigated: plant, bird, butterfly, dragonfly, amphibian, reptile, mammal, freshwater fish and invertebrate. The results show that Lai Chi Wo possesses very high ecological value comparable to the top few ecological hotspots in Hong Kong. More than one third of local amphibian species and more than half of the local butterfly species can be found in the village. Diversity of aquatic invertebrates is also the highest among all nearby regions. A species reintroduction programme was also initiated in Lai Chi Wo with the aim to restore the population of rice fish Oryzias curvinotus at Lai Chi Wo, which is a global concern species. 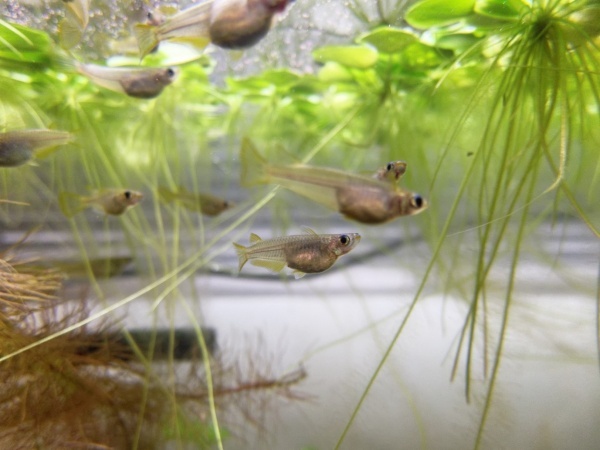 Around 40 rice fishes were captured from a nearby village for captive breeding; more than 300 individuals of rice fish were successfully hatched from the breeding stock. Currently 100 individuals of rice fish were released to Lai Chi Wo and signs of reproduction have been shown. As Lai Chi Wo Village is rich in cultural legacy, the project team has been conducting a cultural study focusing on the community resources and capital of the village and its neighbouring areas. Over 20 oral history interviews on village life in the past were conducted with key local villagers. Part of the interview findings have been integrated into educational such activities as thematic guided tours and cultural-related workshops; some of the findings have been published on the programme website and in the programme’s photo story book. On the preservation front, a row of dilapidated old village houses were restored with traditional Hakka construction techniques and locally-sourced natural materials. 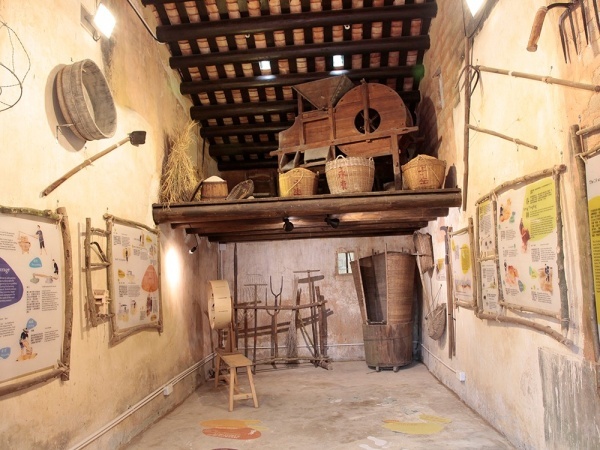 Old “treasures” collected from villagers such as farm tools have become exhibits in a restored complex officially named the “Lai Chi Wo Cultural Hub”. The provision of training and education opportunities was one of the most important objectives of the Programme. Two rounds of leadership programmes were offered to staff and volunteer leaders from local community, corporates, NGOs, etc. to establish a pool of determined change agents and equip them with the necessary skills, knowledge and attitudes for sustainable revitalization of rural communities in Hong Kong. Some of the training programme graduates joined our “3 Dous Incubation Scheme” to carry out their farming projects in Lai Chi Wo. To raise student and public awareness on the issue of rural revitalization, we organised inter-disciplinary education and internship programmes for university students, conducted education programmes for secondary school, primary school and pre-school students as well as gifted students and students with special needs, and delivered education and volunteering programmes for the general public. Through the Programme, PSL hosted two major international symposiums on rural sustainability. 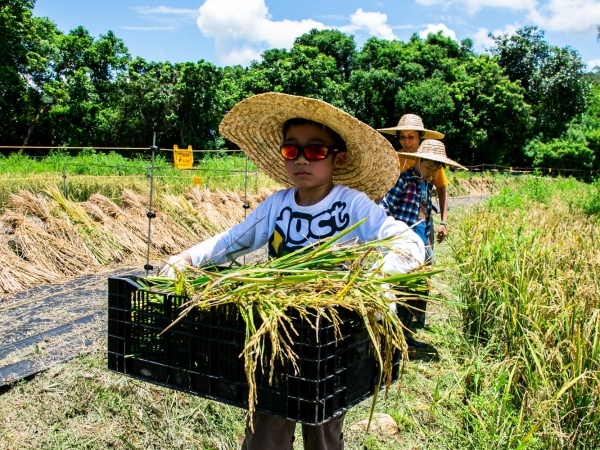 The International Symposium on Sustainable Rural Communities in Asian Cities was held in 2016, showcasing 20 world famous rural revitalization efforts in Asia. 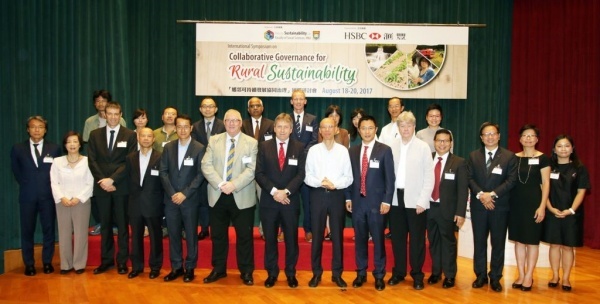 International Symposium of Collaborative Governance for Rural Sustainability was held in 2017, examining partnerships for rural sustainability, socio-economic models for community development, and measurement of sustainability. Cases from the USA, UK, Japan, Mainland China, Taiwan and Hong Kong were featured. We submitted a policy paper to the HKSAR Government on sustainable agriculture according to the empirical experience of the Programme. 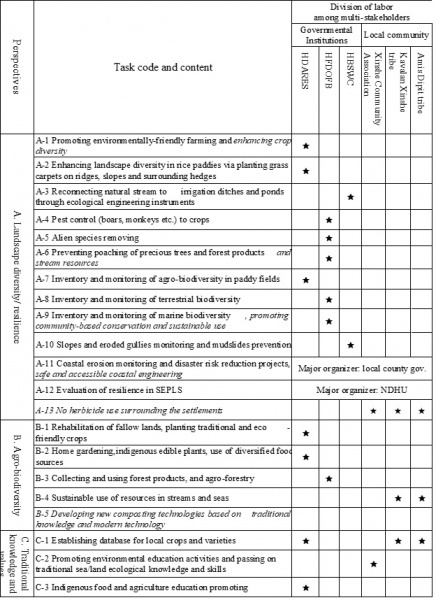 The policy paper urged the government (1) to recognize the importance of agricultural development to Hong Kong’s sustainable development; (2) to expand or at least maintain the current land provision for agriculture; (3) to connect sustainable agriculture with other policy arenas; and (4) to provide necessary training, technical, marketing and certification supports for sustainable agriculture. The programme team initiated annual meetings with the villagers to report the programme progress and collect advice. Annual village cleaning activities were jointly organised with the volunteers, the public and local villagers to clean up the ditches and weed the paths. The Programme engaged a number of local villagers to become active partners of the Programme. They provided accommodations and meals for training activities, some of them also helped to provide training for students and leaders. The “3 Dous Incubation Scheme” was launched to provide training and capacity building to the indigenous villagers and individuals who aspired to join the revitalization works in Lai Chi Wo, so that they are capable of developing their own green startups in the incubation area. 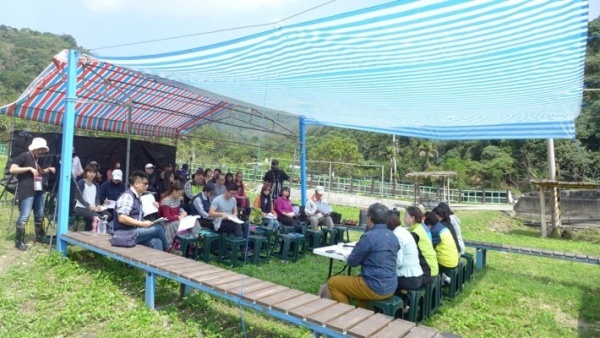 There are now nine groups of community farmers and producers practicing self-sufficient lifestyle, agricultural production and farm-based education in Lai Chi Wo, developing a diversity of farm products and services. Among them, there is a processing team “Very Ginger” formed among villagers, new settlers, and enthusiastic volunteers with our steering and facilitation. The processing team successfully produced ginger slices and turmeric powder. Farm produce and products are promoted online and sold at the Lai Chi Wo Farmers’ Market and other outreach events. In effect, the scheme has shaped the growing-processing-marketing model which the new phase of the Programme will develop further. 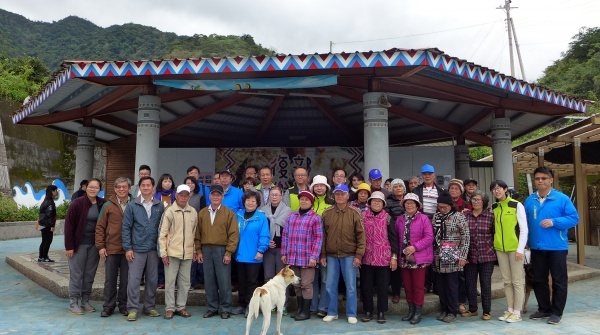 The Programme has demonstrated a demand for improved accessibility to the village as individuals and groups visiting Lai Chi Wo for various events and activities have continued to increase. Two years after the launch of the Programme, a regular small ferry connecting Lai Chi Wo and the urban area came into service in 2016. Lai Chi Wo’s local green economy was made possible with the improved accessibility. Traditional Hakka snacks making workshop and soil art workshop were organized by villagers and settlers with the support of the Programme. Indigenous villagers and professional tour-guides cooperated to provide training to volunteers and new settlers. This interflow of knowledge equips participants with better techniques to provide high quality eco-tours. Hakka cultural tour and Ecology & Geology tour organised by local villagers and new settlers were provided. Since January 2017, the Lai Chi Wo Farmers’ Market has been held regularly on the first Sunday of each month. Fresh produce and processed products with ingredients from Lai Chi Wo are sold directly to visitors at the on-site Farmers’ Market, including those produced by the community farms. The Programme has brought about major changes and impacts to Lai Chi Wo Village and the wider Hong Kong community. From 2013 to 2017, the Programme has engaged more than 10,000 individuals and stakeholders, who come from all walks of life from both the rural and urban areas. More than five hectares of terrace farmlands, which had been abandoned for over 30 years, were rehabilitated. The village has been repopulated from zero population to around 20 inhabitants living and working at the site. With the restoration of eco-farming and paddy farming, the biodiversity and wetland functions of the village have been enhanced. The Programme’s sustainability approach to rural revitalization has synergized various conservation concepts – cultural conservation, ecological conservation and landscape conservation – while rebuilding rural community livelihood through: (1) the “3 Dous Land” community farming scheme” which brings together indigenous villagers and city people to incubate agricultural and rural start-ups, the urban-rural interface has been enhanced; (2) academic and action research which integrates local knowledge with scientific expertise, and (3) a range of knowledge-exchange activities, including training/education programmes and policy research, which utilise the knowledge in and of the Lai Chi Wo experience to create social and policy impacts. As a result of our revitalization efforts, Lai Chi Wo has transformed from a state of destitution to a vibrant community with villagers living and working in the village. Our efforts to revitalize Lai Chi Wo were given due recognition by the renowned international travel guide book “Lonely Planet”. Impressed by the agricultural revitalization in Lai Chi Wo, “Lonely Planet” ranked Hong Kong among the top five Asian destinations for 2016. PSL’s two major international symposiums on rural sustainability served as platforms of sharing rural revitalization experience among academics and practitioners from Asia Pacific and elsewhere. Knowledge generated in the Programme was also disseminated through the symposiums. The Programme has effectively demonstrated the important roles that rural villages could play in conserving biodiversity and ecosystem functions, improving food safety, shortening food miles, conserving local history and culture, and practicing a green lifestyle in highly developed cities. Our effort to revitalize the farmlands in Lai Chi Wo was cited by a major Hong Kong government engagement document for long term strategic planning – the “Hong Kong 2030+” – as an effective means to enhance environmental capacity. The sustainable model that we developed from the Lai Chi Wo experience was praised by the Hong Kong Policy Address 2017 as an exemplary revitalization model for rural villages in the territory. In 2017, UNDP’s Equator Initiative selected the Programme as the only case from Hong Kong to be included in their online database which showcases outstanding nature-based solutions to sustainable development undertaken by rural communities around the globe. The Technical Advisory Committee of the Equator Initiative was impressed by how these solutions have successfully addressed 9 of the 17 United Nations Sustainable Development Goals, including, Good Health and Well-being, Quality Education, Clean Water and Sanitation, Sustainable Cities and Communities, etc. Some success factors were identified by the project team for the impact achieved by the Programme. The project team believed that it was important to aim towards achieving a holistic set of sustainability principles. It is vital that the team was not intimidated by the hard work required for communication and negotiation in order to find out a truly all-rounded approach in tackling social, ecological and local economic development challenges. Eventually, a dedicated, determined and multi-skilled team was established to deliver the multi-disciplinary objectives of the Programme. The application of the range of sustainability principles through a participatory approach required a genuine partnership between the government, corporate sector and the civil society. 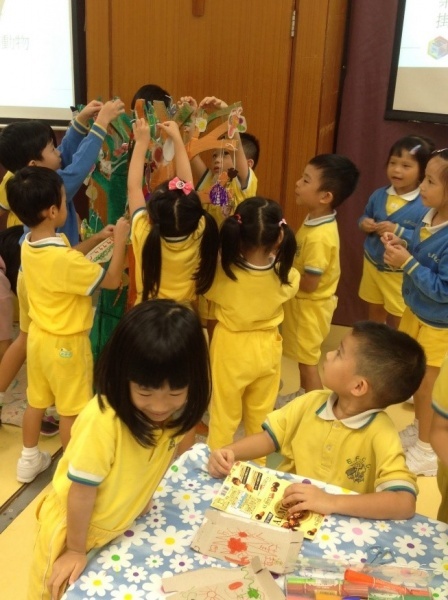 It is believed that the collaborative partnership approach for the Programme could be replicated in other rural areas in Hong Kong and beyond. Villages are important venues where human interacts directly with the nature. It is at these villages that today’s population can re-establish and experience a harmonious relationship with the The maintenance of vibrant village ecological environments calls for an appropriate degree of management to keep their local ecosystem and biodiversity intact. A sustainable city should attain a healthy level of food self-sufficiency to safeguard food supply for the city. If a city can revive its agricultural economy of rural villages, its food security will be improved and the food miles reduced. Rural revitalization can therefore be harnessed as the answer to a more resilient future. Local agriculture has been diminishing amidst rapid urbanization. Against this backdrop, it is important to pass on the history and culture of traditional local communities (including the traditional way of rural management) to help the public understand farming societies in the past. Rural environment and the simple agricultural village life are becoming increasingly attractive to city people. Village life has enabled people to learn about rural ecology and culture as well as the food production process, and has allowed the population to live in the Lifestyle of Health and Sustainability (LOHAS). At present, revitalization of local villages faces many challenges, including the loss of community networks, diminishing rural economy, inadequate technological development, a policy bias towards urban development, and a lack of social consensus on the strategy for sustainable development. To cope with these problems, it is important for villages to adopt a collaborative approach to improve the villages’ well-being through engaging with, and gaining support from, different stakeholders, community groups and professional sectors outside the village community. Village revitalization creates an entirely new context for localizing the UN Sustainable Development Goals. To make an effective contribution to this agenda, it is important for village revitalization programmes to adopt a holistic and diversified model which comprises variegated forms of conservation concepts and also takes care of the development of rural community livelihood. The mission of the Policy for Sustainability Lab of the Faculty of Social Sciences at The University of Hong Kong is to contribute to the attainment of sustainability through forging evidence-based, innovative solutions to inform policy deliberation and action, to raise people’s awareness of the importance of sustainability, to facilitate collective action in and across sectors, and to foster stakeholder engagement.